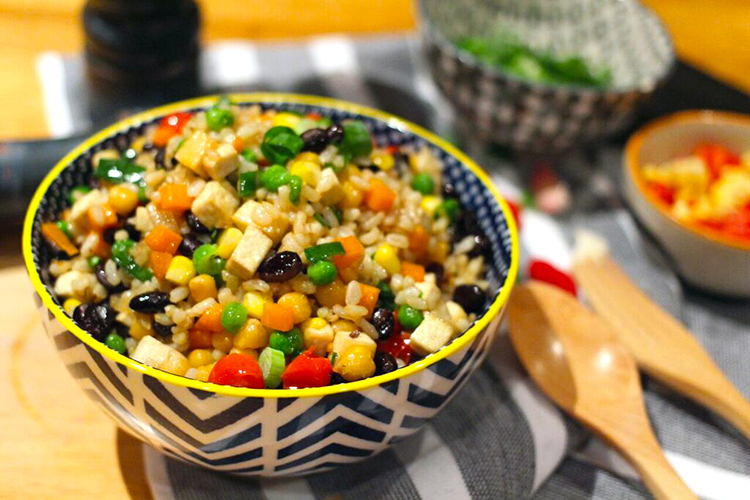 A colourful brown rice stir-fry with tofu, beans and vegetables. Heat oil in a large fry pan or wok over a medium- high heat. Add onion and fry for a minute. Add garlic and carrots, stir until golden brown. This will take about 2-3 minutes. Add tofu and the rest of the vegetables, except the snow peas. Stir well for another 4 minutes. Add the cooked rice, stir-fry for a further 4 more minutes. Add soy sauce, stir thoroughly and cook for a minute. 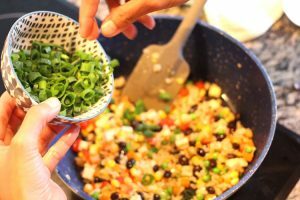 Add in spring onions and snow peas.